Field Day is one of my best memories from my teenage ham days. It is one of those things I think about all year. 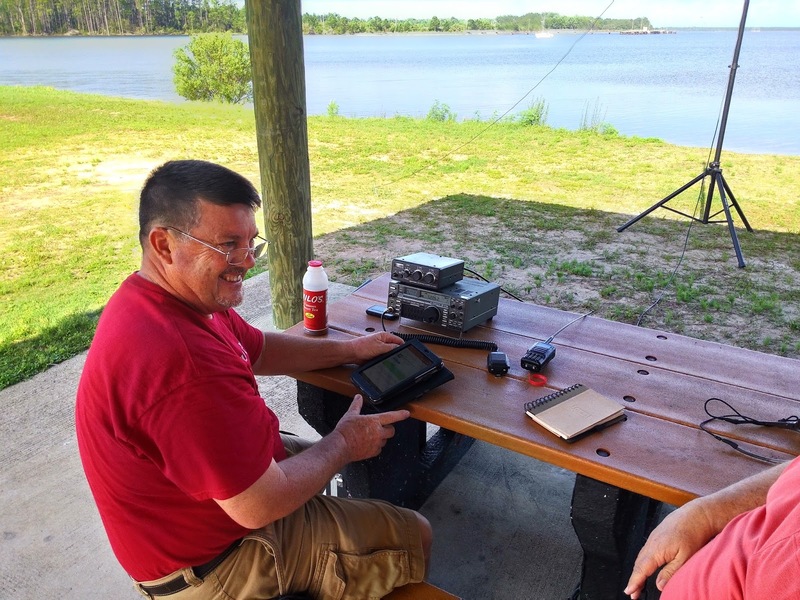 I am operating this year with the Panama City ARC W4RYZ 2F station at the Bay County EOC near Southport, Florida. 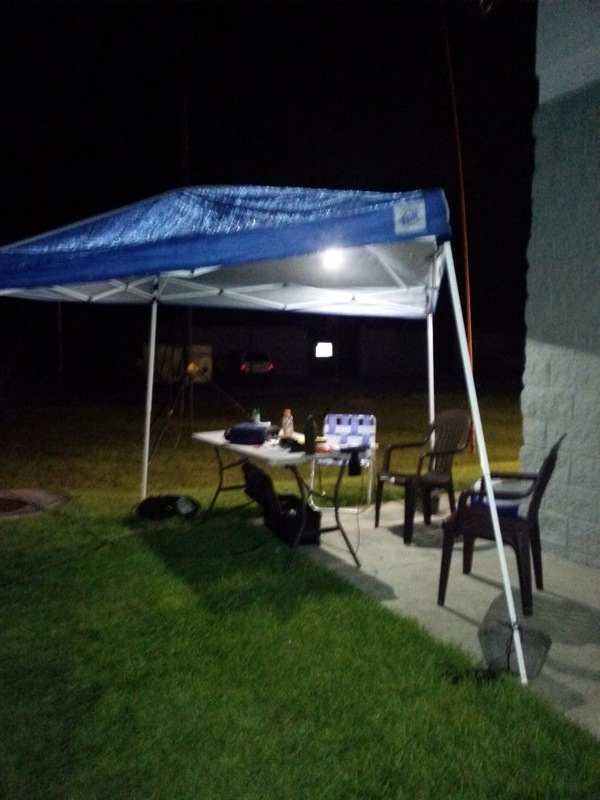 I pretty much provide the outside station. There will also be an inside station. They will use a hex beam in the parking lot. I am outside at the Northwest corner of the building. A 100 foot doublet does the job, but I am bringing the works for antennas this year. 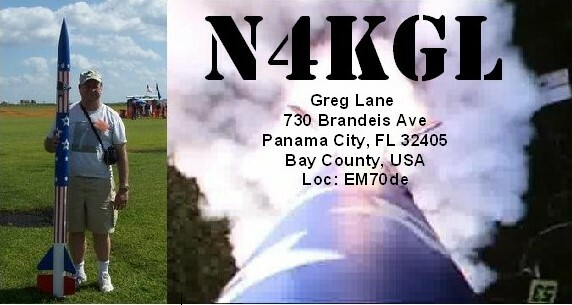 1-2 is 40 meter dipole 3-4 is 20 meter dipole. These have a common feed point at 28 foot camo pole mast. 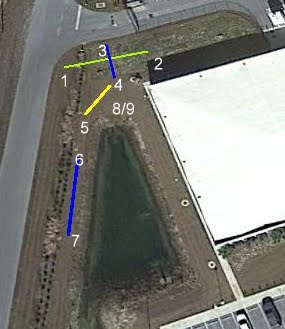 There will be 30 foot poles at 1, 2, and 3. At 4 will be another 28 foot mast. It will hold up one end of the 20 meter dipole. It will have a 2 meter antenna at the top. at 5 is a 30 foot mast having the feed point and radials for a Chameleon Micro Hybrid with a 60 foot wire that goes up the mast and toward 4. At 6 will be a 16 foot mast to hold up the Chameleon EMCOMM2 with 60 foot NVIS radiator extending to 7. There will be a 60 foot counterpoise extending under the radiator. 8/9 is a parasitic array of two Bravo 7K verticals. When I bought the Icom 7100 I had it in mind for Field day. 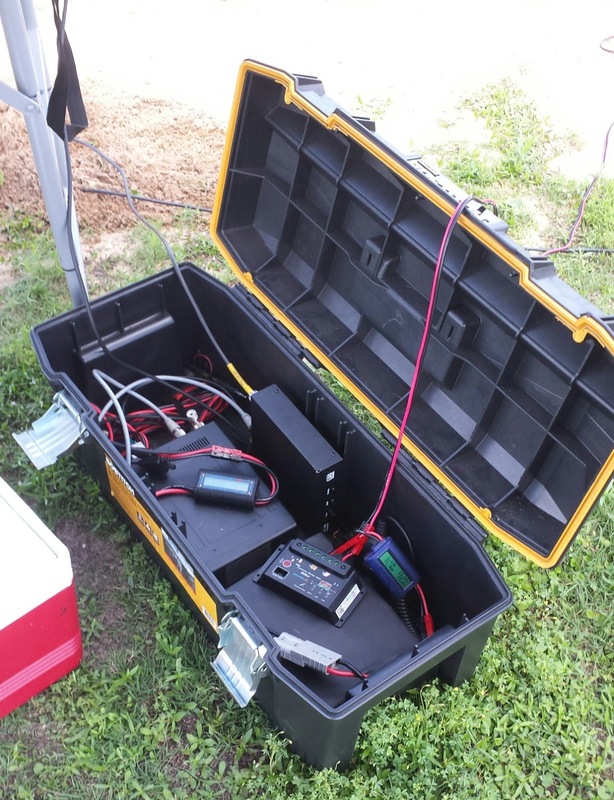 I used the KX3 at ten watts one year and it did the job. However, since our club entry is not QRP I can go for 50 to 100 watts with the 7100.I have an external LDG IT-100 tuner which will come in handy. The icom 7100 main unit, battery and tuner. I have a 40 amp hour and a 30 amp hour LiFEPO4 battery from Bioenno. These were quite expensive but they hold the voltage high enough to operate the Icom 7100. The Icom 7100 will crash if the voltage drops to 11.7 volts. 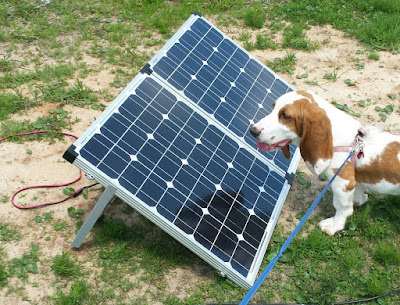 I will be using a 100 watt solar panel to replenish the power I draw from the battery during daylight. We will see how the battery management goes. I can drop down to 50 watts at night if needed. This year I am going to try for the five natural power QSOs using a solar panel supercapacitor combination. I will be assured that there was no commercial power electrons involved. We will see how it goes. 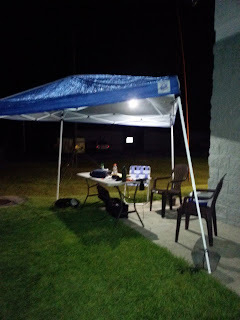 Here is the pop-up canopy from a past year at night. Well this is quite load of stuff. 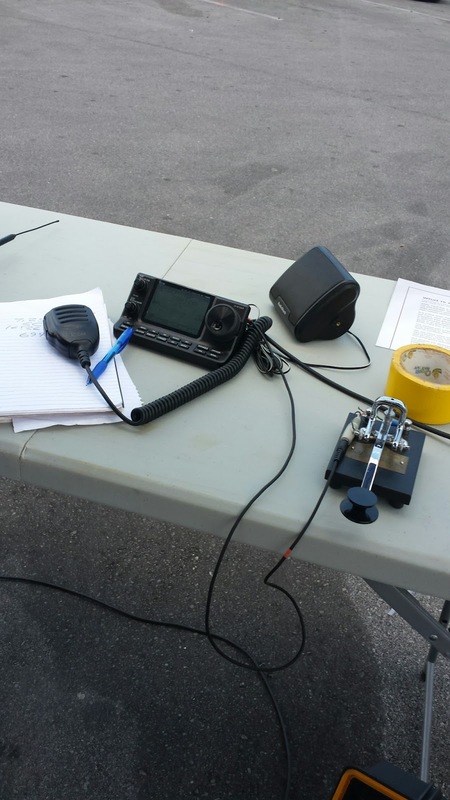 It is not RaDAR or QRP this time. The Florida heat and humidity are something to deal with. Of course there will be thundershowers. I hope to get lots of club operators involved. The club should have a big Field Day over-all with both stations. Good luck on your Field Day!